Andy Margolis immediately became worried when his doctor asked him if he was familiar with Lance Armstrong. As an avid cyclist, Margolis had followed Armstrong’s cycling career as he became a seven-time Tour de France champion. But there was more to Armstrong’s story. Margolis also knew that Armstrong was a testicular cancer survivor. And that’s what got Margolis scared. 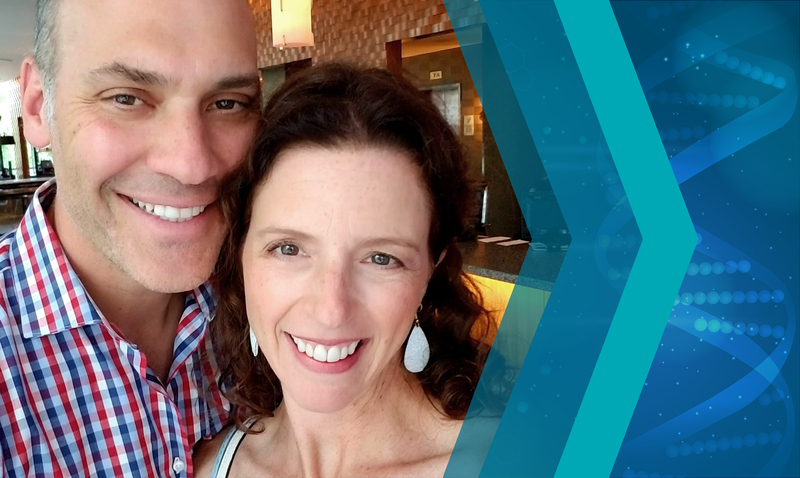 Thirteen years ago, Margolis, a senior vice president of a Chicago area commercial real estate firm, and his wife, Elana, was intent on starting a family, but after eight months conception was unsuccessful. The couple decided to visit a medical professional to learn why. Elana was the first to undergo tests, and her results showed everything was normal. Next it was Margolis’ turn. He discussed his situation with a friend who was a urologist and he recommended Margolis schedule an appointment with Craig Niederberger, MD, Clarence C. Saelhof Professor and Head of the Department of Urology at the University of Illinois College of Medicine. Margolis underwent a battery of tests, which included an ultrasound. The results were not what he expected. More than 9,500 new cases of testicular cancer are diagnosed annually, resulting in about 410 deaths, according to the American Cancer Society. It is a cancer that begins in the testicles, the male reproductive glands located in the scrotum. The disease is rare, in that about one of every 250 males will develop testicular cancer at some point during their lifetime. It is largely a disease of young and middle-aged men – the average age at the time of diagnosis is 33 – but about 6 percent of all cases occur in children and teens, and about 8 percent occur in men over the age of 55, the ACS said. Because testicular cancer normally can be treated successfully, a man’s lifetime risk of dying from it is very low: about one in 5,000. On March 16, 2006 – the day following Margolis’ diagnosis – Niederberger performed surgery to remove Margolis’ right testicle. Less than two months later - on May 5 - he started four weeks of intensive radiation, traveling to UI Health five days a week for treatment.